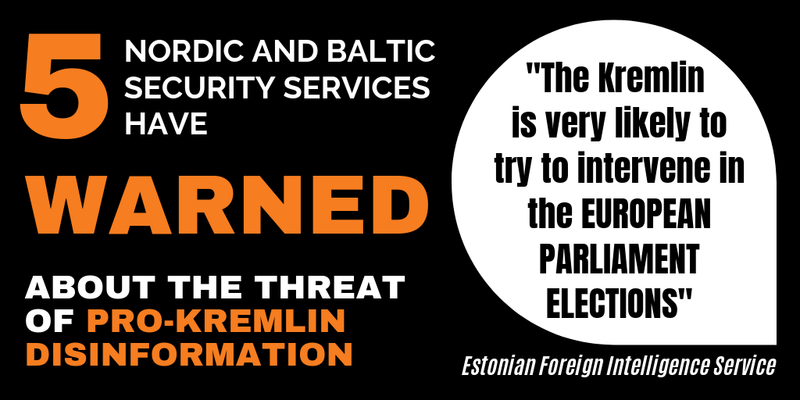 Russian state-owned media, such as Russia Today (RT), Sputnik and Russian national TV position themselves as reliable alternatives to what they label “main stream media”. The use of international commentators and experts by these Russian media does not necessarily reflect the depths of their expertise, rather whether their positioning is in line with pro-Kremlin narratives. 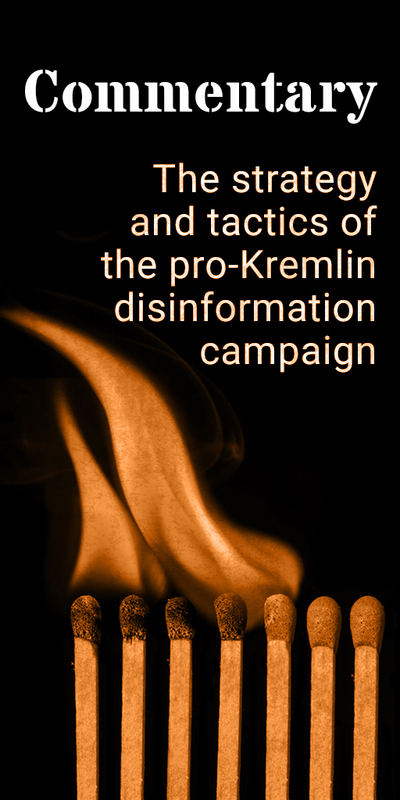 Readers of the Disinformation Review will for example recall the recent appearance of a Belgian commentator in a Russian talk show where he shouted that “thousands of women are being raped every day” on the streets of Brussels. When not appearing on Russian national TV, the same commentator has organised events with a former leader of the Ku-Klux clan and a former leaders of the British National Party. In a piece from Sputnik, he gives an “exclusive interview” in the role of a “Belgian political scientist and director of geopolitical research centre”. Here he repeats disinformation about the downing of flight MH17 over Ukraine, claiming that “there are facts that the Russians did not do it” and “that there is proof that it wasn’t Russia”. The Belgian example is just one of many where Russian state-controlled media systematically invite contributions from far-right commentators from European countries – people with very limited impact in the communities they come from. Many of these “experts” are also invited to rally in Russia around shared far-right political agendas. 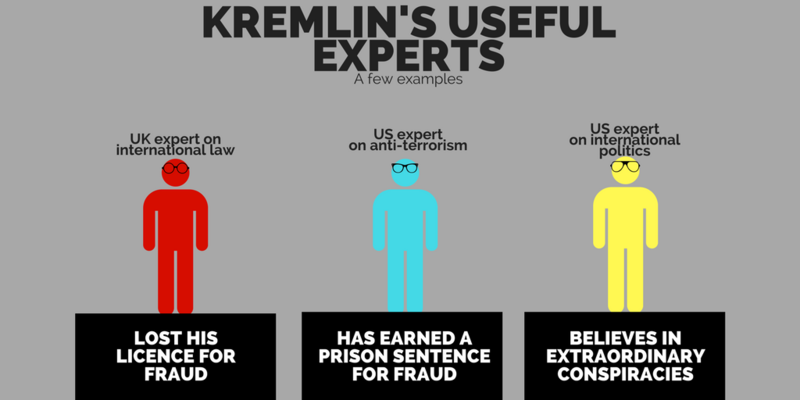 The Russian journalist and acknowledged propaganda expert Alexey Kovalev provides additional highlights from the international “expert” community that is prominent on Kremlin-loyal media. We find for example the alleged American expert on anti-terrorism, who has earned himself a prison sentence in the US for, among other things, posing as aide to a high-ranking officer and tricking the US Air Force into giving him an apartment. Or the British lawyer, who appears on pro-Kremlin media as an expert on international law, but who has lost his license to practice as a lawyer in the UK after a case of fraud against a client. Or the American expert on international political affairs, who has often been used in Russian media to criticise Barack Obama and laud President Putin, but who turns out to belong to a group of believers in extraordinary conspiracies and who has also earned himself a prison sentence for fraud in the US. As the BBC highlighted last week, the true identity of some bloggers on Sputnik is not always clear. The BBC pinpoints an example when the identity of a blogger remains unclear. 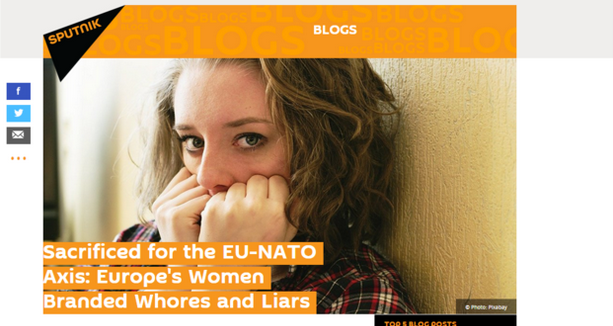 When asked for more details on the blogger, who has authored sharply opinionated blog posts such as “7 ways the EU-NATO Axis is Sabotaging Western Civilisation” and “Sacrificed for the EU-NATO Axis: Europe’s Women Branded Whores and Liars“. Sputnik’s UK editor couldn’t be of any help, telling the BBC that he “never met him and doesn’t oversee the blogs section of the website”, although he “insisted that he is indeed a real person”.